We have got you a list of 10 Strangest vehicles ever made, sometimes by manufacturers and sometimes by crazy designers. Some are inspired by fighter jets and some are just for showing out of box thinking. Take a look at one by one. Most people who first see this car only recognize it as Lotus Elise. Dont be fooled. this little sports car takes off road to a new level. The Rinspeed Squba is a zero emission vehicle thanks to eletric motor. Not done there, the car is capable of driving on water thanks to water jets and propellers. Open the doors and let thr water in and the squba vanishes beneath the waves, becoming one of the sportiest submarines around. It all makes for a rather strange vehicle and gives the term CROSS-OVER a while different meaning. Unveiled in 2003, this motorcycle is definitely one strange vehicle. 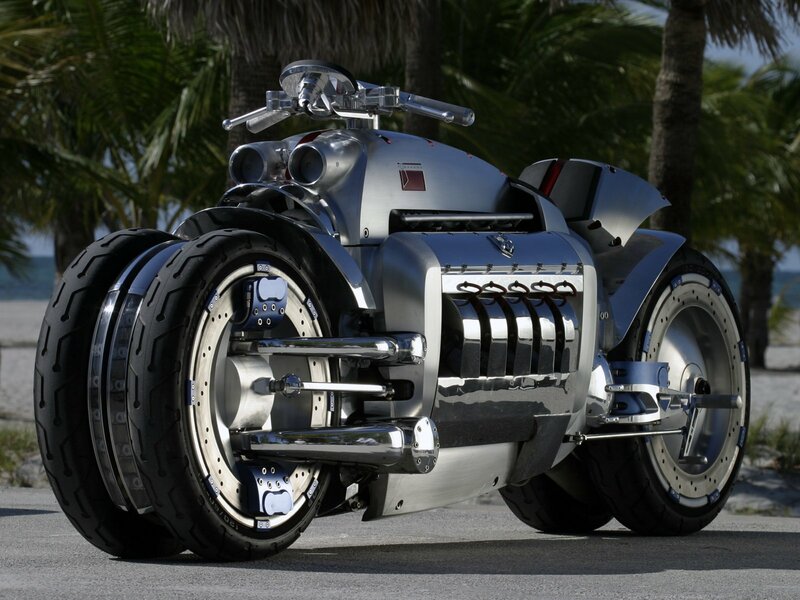 Dodge said the Tomahawk was meant to show how the company could think outside the box. After looking at this we think anyone who drives this may end up in a box, thats because the bike is powered by a 500 hp V10 engine – The same one found in Dodge Charger. It has 4 tires and 4 wheels steering to negotiate turns. Aerodynamically wer arent sure how any rider could hang onto this thing as it goes from 0-100 in just 2.6 seconds. Following the second world war, people were in love with all the things that are related to aviation and it showed into vehicle design. The 1948 Tasco is a clear indicator of this aviation inspiration. 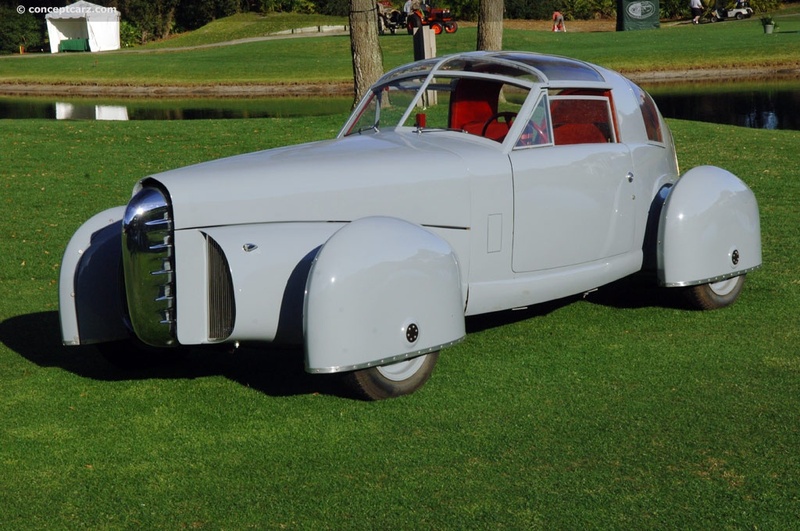 Created by a legendary designer Gordon Beuhrig, the Tasco looked like a plane which had traded its wings and tail for wheels. The cabin was surrounded by a glass and had a t-top roof- the first car to ever use one. The controls and instruments looked like they had been taken right from the bomber cockpit. It may not look like a Ferrari 512 S but underneath this strange and futuristic body has a real Italian sports car. In 1970, the Ferrari had too mant of 512S race cars sitting around, instead of scrapping them one was given to legendary car design firm Pininfarina. The 550 HP V12 engine was kept but the as you can see the car body was radically changed. 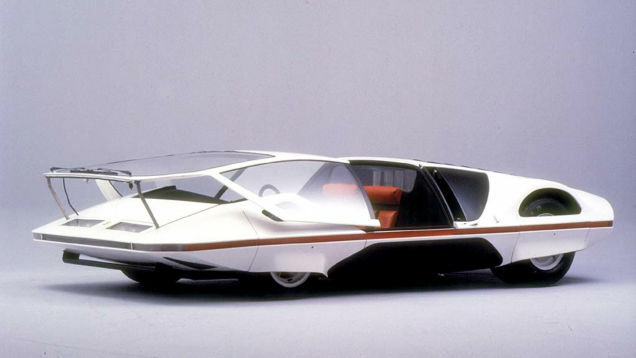 Rather than a car, the Modulo looked like it would be more at home a prop on the set of Star Trek. Aytime you need to arrive in style and comfort, people can count on Limousine. This creation by Jay Orahberg takes that idea to whole new level. At 100 feet long with 26 tires and two driver cabins, this Limo holds the guniess record for being the biggest ever made. More of a hotel room on wheels than a luxury car, this Limo features a spa, swimming pool, sun deck and a king size bed. This car even gets its own helipad so you can just hop in to your helicopter and take off any time you feel like. 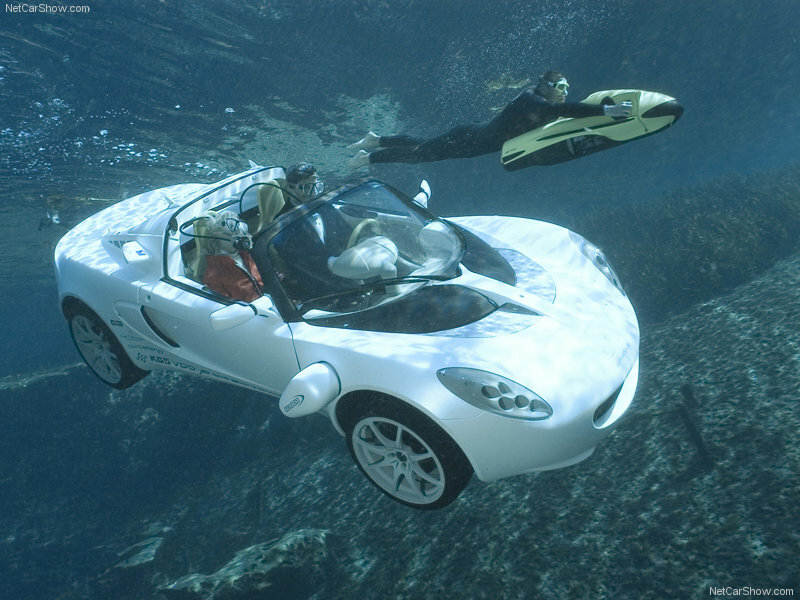 Every one of heard about car pool, this strange vehicle gives a whole new meaning to the term car pool. 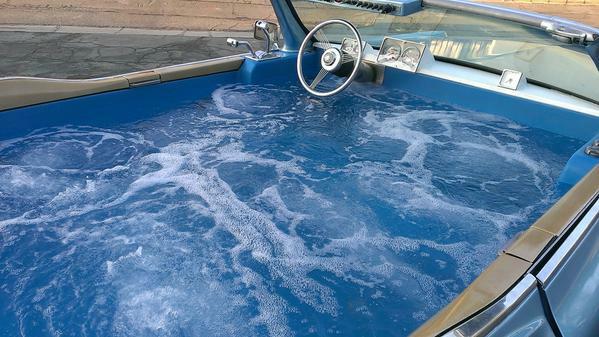 This 1969 Cadillac Deville with the interiors converted into a fully functional hot tub. Occupants can ride in comfort as the tub is heated and run by the car’s engine. The water is kept warm at hot temperature and functional jets to provide massage you need. We are sure about this is not a street legal vehicle, but the owner plans to break the record for fastest hot tub very soon. Today car desigenrs often advertise their vehicle performance in terms of fighter jets performance. 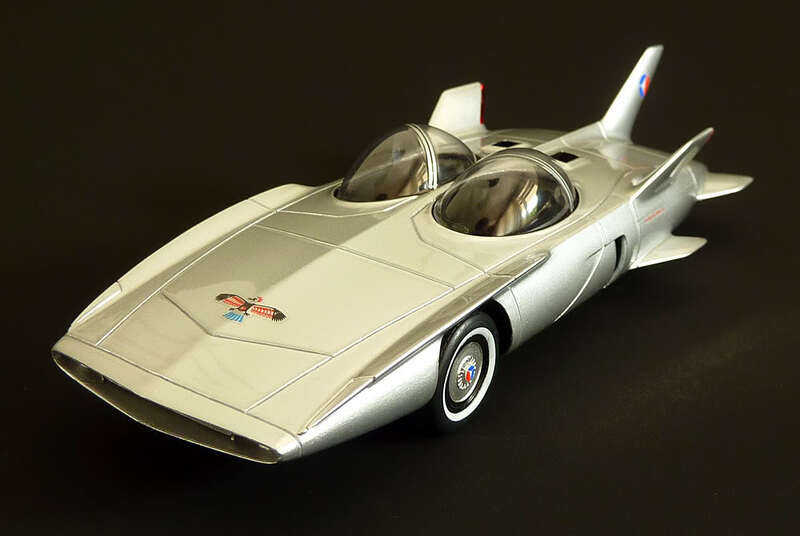 Well, look at the 1959 Firebird 3 and you can see that GM was literally trying to make a car that was fighter jet. The Firebird 3 was unconventional in every sense of the world. It had a gas turbine engine for main power and smaller engine to power car accessories like AC and power steering. Instead of a steering wheel, shifter, throttle and brake pedals there is a single joystick which controls all of the car’s movement. Eletric cars often have design features that make them stand out. 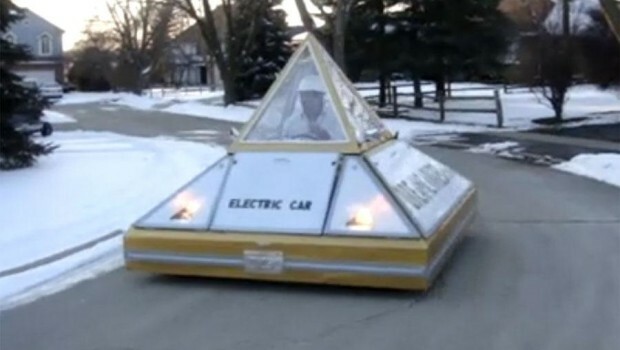 The Pyramid electric car, however takes the design to a strange level. This vehicle looks like some sort of cheap prop from a really bad science fiction movie, that said it has a top speed of 64kmph and can drive around for 3.5 hours before getting new charge. To add an extra element of strangeness to this vehicle it has neon light systems which operates at night and makes pyramid car look like something from another planet. 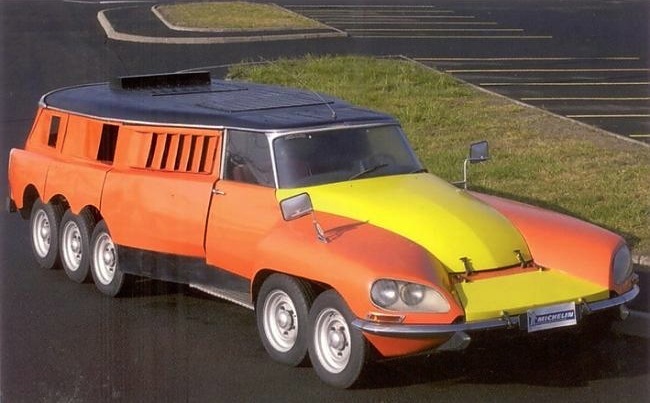 This vehicle surely qualifies as one of the strangest vehicles ever made. It was purpose built by Michelin to test the durability and build quality of their truck tires. Rather than test tires on a regular truck, the company went to the spare parts bin and came up with this Frankenstein creation. The PLR had 10 wheels and powered by two V8 engines. One engine powered the rear tires while the second engine powered a center mounted test tire. As far as strange vehicles go, the Brooke swan car takes the cake. Built by a wealthy and eccentric British engineer, this car looks like it would be more at home in a parade. 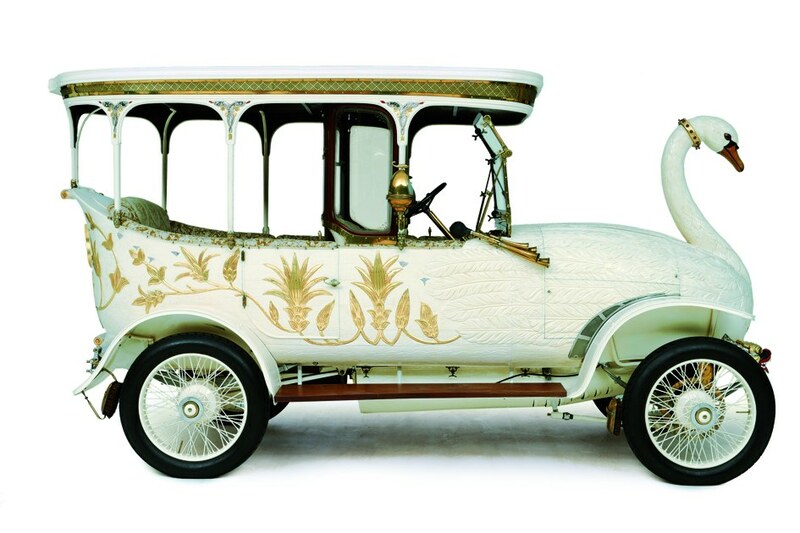 Made with wood, the Swan car came with self cleaning tires. Even the exterior was functional, the mouth fo swan opens to shoot out hot steam and water in order to clear people off the road. The finishing touch is the ability too drop the whitewash from the rear end – providing the authentic Swan experience.